Nineteen of 570 J-M241 project members (3.3%) with STR results are confirmed or predicted to be CTS11760. This SNP was discovered years ago but had no identified subclades on YFull until a few weeks ago. This haplogroup is found today in diverse locations such as Iberia, England, Germany, Italy, and southern Poland and Slovakia. It is a sibling to other Z8429 subclades Z39660, which is today mostly Baltic and Eastern European, and Y12007, which is found in England, Germany, Czech Republic and Temnikov Tatars in Russia. Polish/Slovak BY41355 and Iberian 406504 subclades are not yet on YFull. A more accurate migration will be subsequently computed. Celtic presence in Iberia likely dates to as early as the 6th century BC, when the castros evinced a new permanence with stone walls and protective ditches. The cultural stronghold of Celtiberians was the northern area of the central meseta in the upper valleys of the Tagus and Douro east to the Iberus (Ebro) river, in the modern provinces of Soria, Guadalajara, Zaragoza and Teruel. There, when Greek and Roman geographers and historians encountered them, the established Celtiberians were controlled by a military aristocracy that had become a hereditary elite. 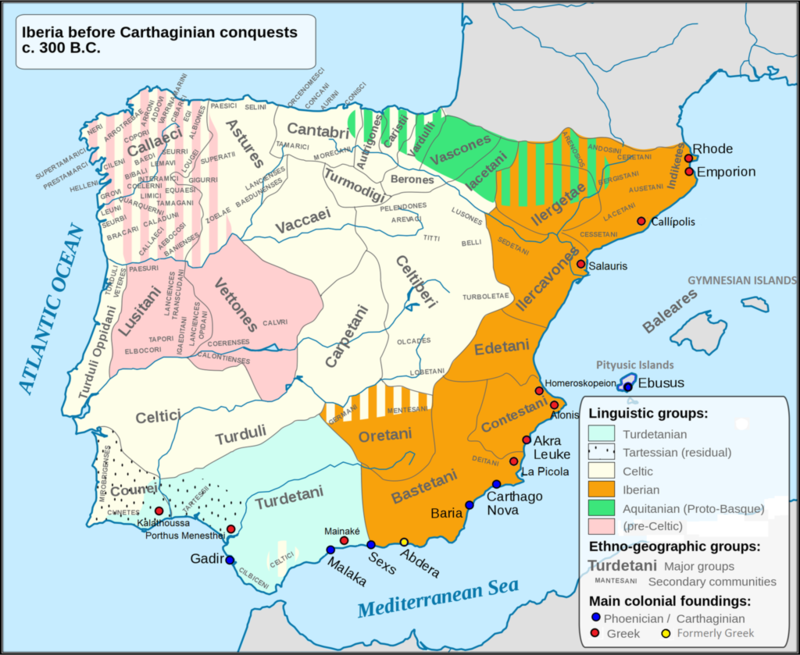 The dominant tribe were the Arevaci, who dominated their neighbors from powerful strongholds at Okilis (Medinaceli) and who rallied the long Celtiberian resistance to Rome. The first Celtic people arrived in Poland, coming from Bohemia and Moravia, around or after 400 BC, just a few decades after their La Tène culture was born. They formed several enclaves mostly in the southern part of the country, within the Pomeranian or Lusatian populations or in areas abandoned by those people. The cultures or groups that were Celtic, or had a Celtic element in them (mixed Celtic and autochthonous), lasted at their furthest extent to 170 AD (the Púchov culture). 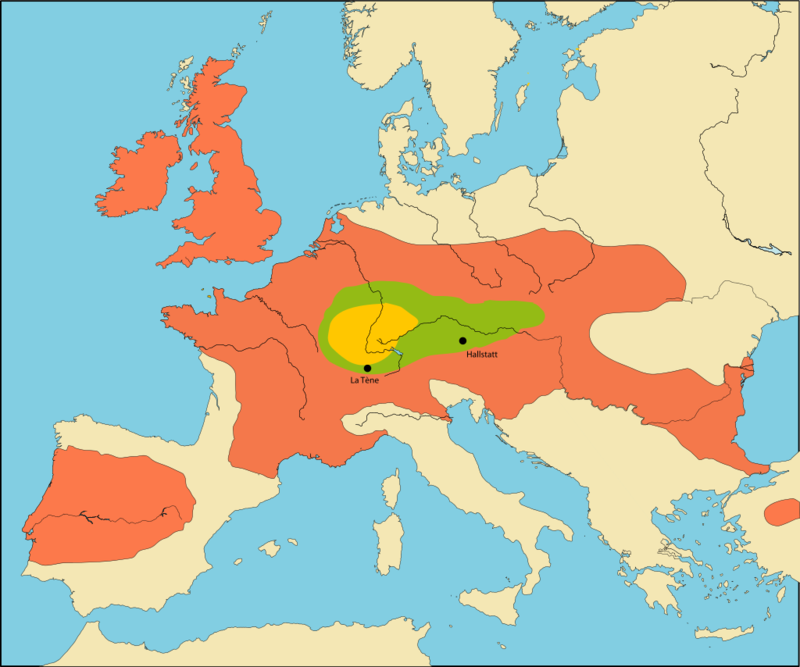 After the Celts moved in, and during their tenure (they had always remained only a small minority), the bulk of the population had begun acquiring the traits of archaeological cultures with a dominant Proto-Germanic or Germanic component. In Europe the expansion of Rome and the Germanic pressure checked and reversed the Celtic expansion. Interesting, I found a lineage of haplogroup N which migrated to the same region a few centuries later. They may have been associated with the expanding Przeworsk Culture which may have driven the Celts to the mountains. There are also at least two separate lineages living in the British Isles, one from Norfolk and the other Anglo/Irish-Scottish. More testing will reveal when the TMRCA of each lived. Also among the CTS11760* are two Germans and an Italian. The common theme of this group is the establishment of clades in diverse locations matching in time and space to the expansion of Celtic culture. But after the rapid proliferation of CTS11760, most of his lineages did not proliferate, or the former proliferation has been obscured by extinctions. This is parsimonious with a Celtic origin theory for CTS11760. While all Continental Celtic tribes lost their Celtic identity in the centuries following their incorporation into the Roman empire or subjugation by other tribes, they and their genes lived on. The lack of diversity below CTS11760 could be indicative of the subjugated status of his offspring. ← I-Y16419 1300 BC Indigenous or Balkan migrants to Armenia?